Milo didn’t appreciate all the things his mom did for him. That is until she was abducted by aliens! Kidzworld reviews Mars Needs Moms, which hit theatres on March 11, 2011. 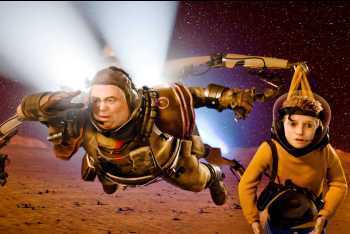 Mars Needs Moms was yet another realistic, action-packed, heartfelt animated movie that will leave you smiling. If you love 3D movies, definitely check this one out in theatres.